Sony announced its new 4K HDR television designed to deliver outstanding clarity, contrast and colour. The X9000F series is the newest option to enjoy refined 4K HDR picture quality thanks to Sony’s proprietary innovations. 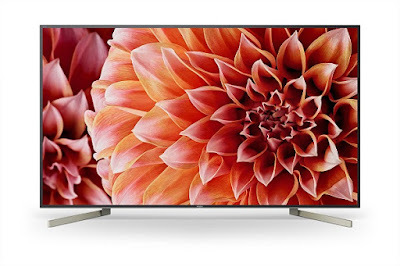 Sony has expanded the LED screen TV line-up to meet the increasing customer demands for a wider variety of large screen premium 4K HDR televisions. The new X9000F series, equipped with the X1 Extreme processor, creates an immersive experience with striking highlights, deeper darks and vibrant colours. Sony’s 4K HDR Processor X1™ Extreme has been widely acclaimed for its ability to produce lifelike picture with superb texture, depth, colour, and contrast, bringing a significant leap forward in the space of HDR. It provides the ultimate 4K HDR viewing experience by incorporating technologies like Object-based HDR remaster, Super Bit Mapping 4K HDR and Dual database processing. TV viewing is now much closer to reality, thanks to X1 Extreme Chip. TRILUMINOS™ Display excels at reproducing reds, greens and blues—colours that are notoriously difficult for TVs to display accurately. It reproduces the finest colour variations for the best pictures. The X-tended Dynamic Range™ PRO, enhances HDR and non-HDR content by boosting and dimming the backlight levels precisely for each zone of the screen with a unique backlighting technology delivering 6 times the XDR contrast of conventional LED TV on the new X9000F series. As the screen size gets larger, it becomes easier to notice motion blur especially in fast-moving scenes. The X9000F series solves this issue by using a new technology, X-Motion Clarity™, to keep fast action images clear and smooth. The new X-Motion Clarity technology utilises Sony’s proprietary direct LED local dimming and backlight boosting algorithm to control the luminance and optimize its duration. Therefore, pictures are clear and smooth with virtually no loss in brightness. 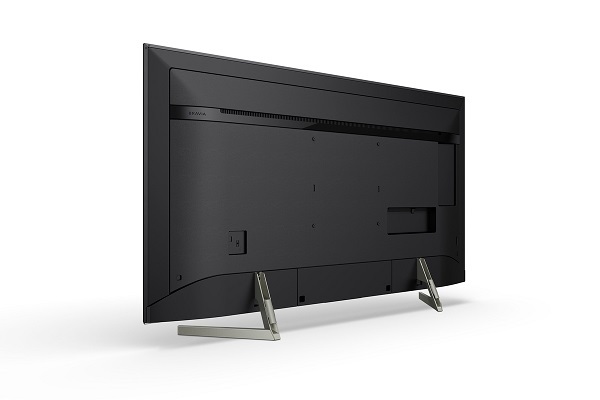 The TV uses 4K X-Reality™ PRO to produce stunning detail with Sony’s unique algorithm of reality creation database for any content, such as TV broadcasting, DVD, Blu-ray Disc, Internet video and digital photos. The new X9000F runs on the Android TV™ version 7.0 with Sony’s exclusive user interface. Sony’s Android TV™ lets one explore the world of movies, music, photos, games, search, apps and more. With Chromecast™ built-in, one can easily send content from the smartphone or tablet to the TV. With access to Google Play™, user can enjoy the favourite movies, TV shows, and games on TV .With a future update (scheduled to be available soon) the TV will be Smart Home Ready to connect and communicate with other smart devices via Artificial Intelligence enabling customers to adopt a smarter home ecosystem. 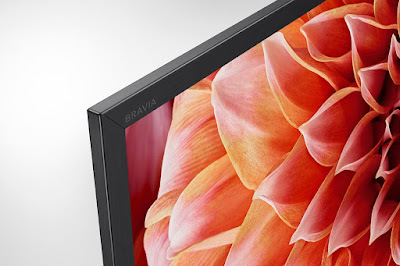 BRAVIA aims to deliver a light, comfortable look that would match with modern-living sensibilities and harmonize TVs with living spaces; a piece of art that can be an inspiration. The Soft Minimalism concept centres on uniting the discreet and the noticeable into the look of a TV as an actual object. The BRAVIA™ stand, emulating the exquisite presence of a sculpture, features a simple structure of square, metallic bars that come into contact with the underlying surface at individual points—a design that creates the kind of unique sense of balance and tension that user find in art gallery displays. Thanks to its sturdy and thoughtful construction, which uses an inverted V-shape to ensure stability, the stand creates the ideal space for a soundbar to call home, whilst harmonising gracefully with the aesthetics of living spaces. The series comes with dedicated direct access buttons for Netflix and Google play Store. This effortless navigation provides users an opportunity to explore videos & apps in the fastest way. The TV will support Dolby Vision™, creating an even more engaging and cinematic experience. HDR compatibility enables it to receive and process the new video standard signal with higher brightness, higher contrast and more vibrant colours via Internet video services and HDMI. Supports HDR 10, Hybrid Log-Gamma and Dolby Vision. Above mentioned 4K HDR models will be available in all Sony Center and electronic stores across India.